Quotes from Daniel Nettle’s excellent chapter “The Wheel of Fire and the Mating Game” in `Evolution, Literature, Film: A Reader’ (2010). Quotes from Daniel Nettle’s excellent chapter “The Wheel of Fire and the Mating Game” in Evolution, Literature, Film: A Reader (2010). 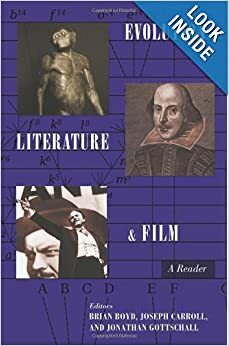 `The world of fiction and myth engages a great deal of time and energy in societies both affluent and under the most basic of conditions… Why should human beings be predisposed or vulnerable to attending to non-veridical events..? …Why do particular forms of shared representation persist and hold attention, rather than other logically-possible ones? 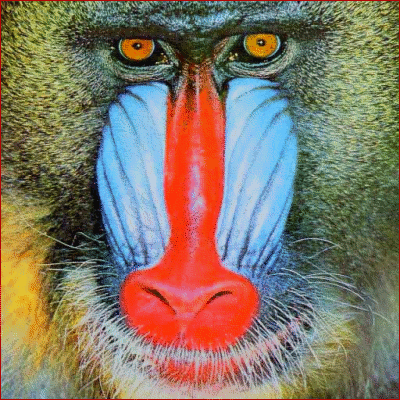 “He who understands baboon would do more toward metaphysics than Locke.” – Charles Darwin. `Human beings belong to the order of primates. They are often characterised as the exceptional primate, which obviously they are in terms of language, culture and so on. However human beings are not aberrations; in many ways they are merely the most clear or extreme example of tendencies that characterise the whole order, and especially the monkeys and apes. Primates, for example, have relatively large brains. This tendency is increasingly marked from prosimians up through New and Old World monkeys to apes. We stand not as an exception but as the summit of a tree. Another essential characteristic of most primates is their sociality… with most species living almost all their lives in groups of a handful to a few dozen individuals. Again, the tendency becomes more marked up through the order and culminates in us. Primate social groups have special characteristics that differ from say the social groups of bees and ants. Bees and ants are locked into hereditary castes dictated genetically and regulated physiologically. Primate groups, by contrast, are much more dynamic. Individual animals have places within a status hierarchy that determines mating and resource holding, but this hierarchy is constantly renegotiated through behaviour. Status may be achieved by direct physical dominance, through the formation of coalitions based on reciprocity, or through piggybacking on the dominance of kin. Status is desirable to achieve as it determines access to food, and most importantly, the likelihood of reproduction. Low-ranking individuals can suffer considerable physiological stress. Robin Dunbar has shown that, across primate species, the larger the social group, the larger the relative size of the neocortex, the “higher cognitive” part of the brain… More social information to track requires more computing power to do it, even at the evolutionary cost of laying down more cerebral tissue, one of the most metabolically expensive tissue types we have in our bodies… And humans have the largest neocortices of all, suggesting what common observation shows to be true, that that our nature is to live in large and complex social formations. One consequence of this fact is that observing social interaction within a group (seeing who is with whom and what they are doing together) is inherently attention-grabbing, well-remembered and salient. As Dunbar has cogently argued, social groups as large and complex as ours would be very difficult to keep track of by grooming relationships alone. To directly observe all the pairwise grooming relationships amongst even a modest hunter-gatherer band would take a lot of time, and to groom or be groomed by every other individual even more so. Place a group of monkeys in a room together, and if they do not fight or mate they will groom each other. Technological, institutional, philosophical or aesthetic matters may intrude, but most natural conversations will soon return to the social network within which all these other activities are embedded. Conversations are only interesting to the extent that you know about the individuals involved, and your social world is bound into theirs; as their distance from you increases, the interest level declines. Fictional social cognition, which is based on invented individuals, has to compensate for this effect somehow. One way is for it to be not just a simulacrum of ordinary social cognition, but an intensified simulacrum… This is like the “supernormal” stimulus effect in animal behaviour. An egg elicits nesting behaviour from a female gull; a football elicits an abnormally strong nesting reaction (Tinbergen), even though eggs as big as footballs do not actually exist. What does this “supernormal conversation” hypothesis predict more particularly? …Much conversation… typically concerns behaviour by other people in our circle in relation to their attempted maximisation of their biological fitness; their illness, health, mating, rises and falls in status and coalitions and so on. The more extreme the fitness stakes, the greater the interest level. Betty going shopping is a lot less interesting than Betty leaving her husband for another man, because its effect on her fitness is much more significant, and, in a small-scale society, it would have a likely effect on our fitness, because there weren’t many other mates to choose from, and the individuals involved were likely to be our allies or kin. We would thus predict that as the fitness-change stakes go up, the attention-grabbing power of a story would increase. In particular, we should be especially interested in attempts by others to sequester scarce social resources. 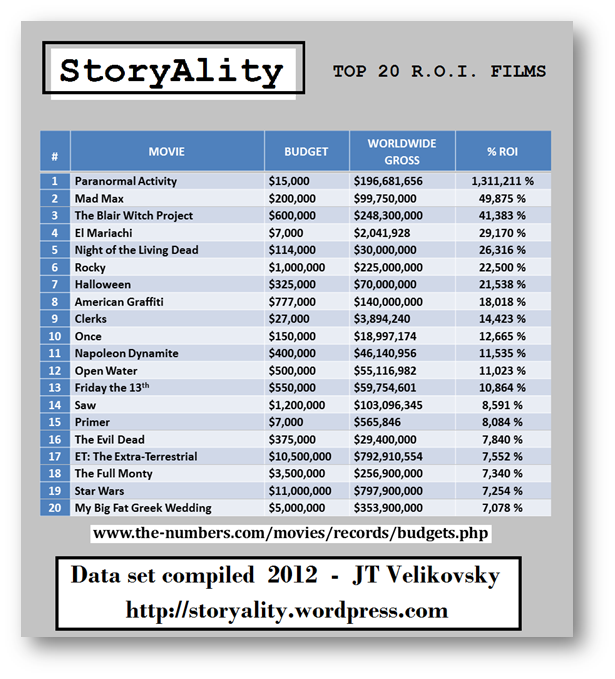 Note in how many of the top 20 RoI films, someone dies… and note also how much mate-pairing goes on.